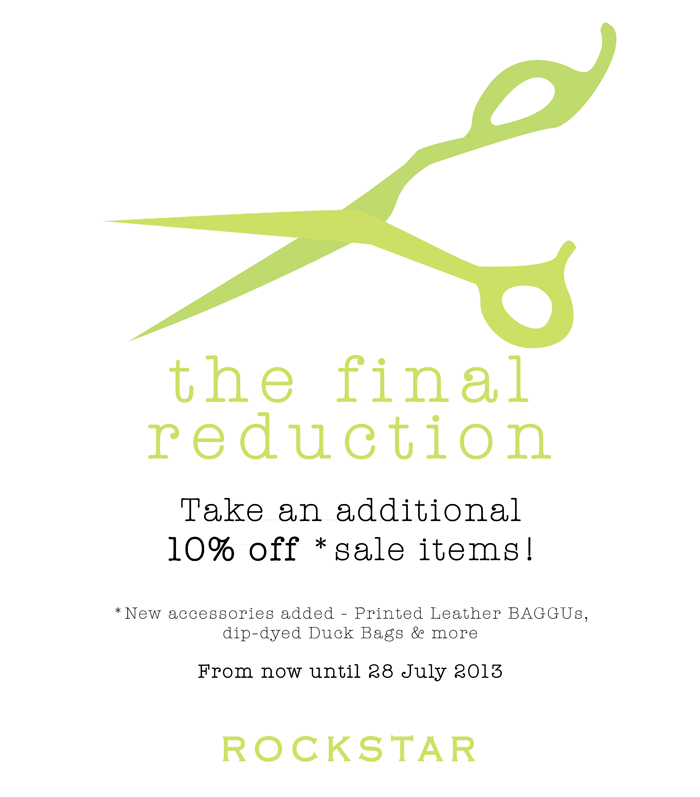 Rockstar Singapore: We're having a Final Reduction SALE! We're having a Final Reduction SALE! From now until 28 July, take an ADDITIONAL 10% off ALL sale items - New leather BAGGU products added to the sale at Cineleisure; Past season Pointer, TOMS & Timberlands given a further slashing; Deeper discounts on apparels at Orchard 22... + a whole lot more. Convinced yet?